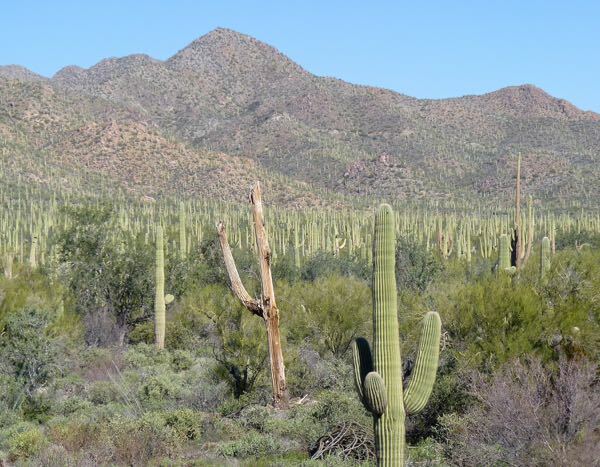 Saguaro National Park West – Tucson Mountain District, on the western outskirts of Tucson, makes up the other half of the park. A short film at the Red Hills Visitor Center explained the unique aspects of the area. Outside on the patio, there was an informative talk about how geological events developed the features of the Tucson region. A drive around the gravel Scenic Bajada Loop provided a closer look. 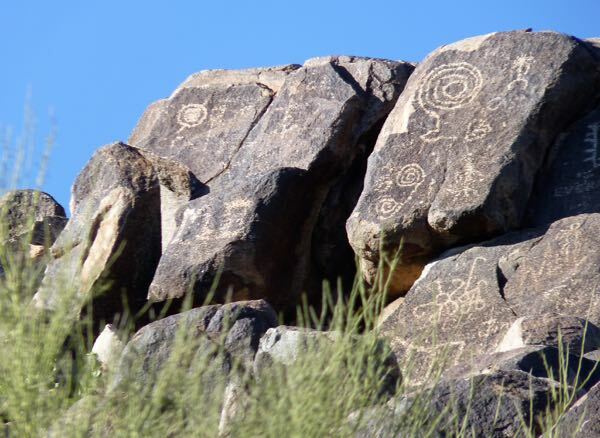 First stop was at the Sus picnic area in the hills that had a deep wash. Further along, I took a side road to Signal Hill which included a prominence with petroglyphs on the rocky summit. The trail passed some old stone CCC structures, and a side path took me through a wash. Some roads were not suitable for Tardis, so I didn’t see all that was available. Several other trails that could have been hiked were also missed. 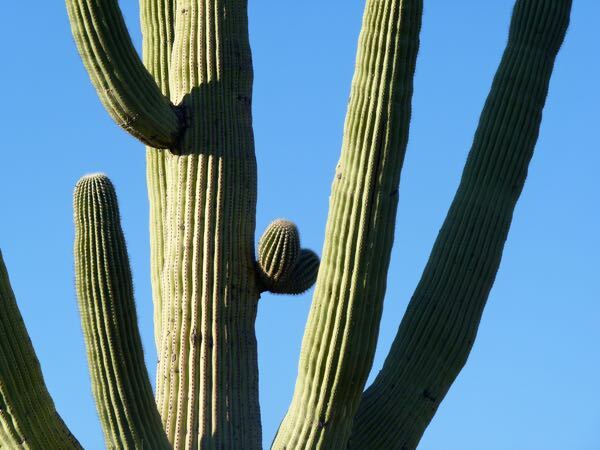 It appeared that many more saguaros dominated the landscape on the west side than seen on the east. 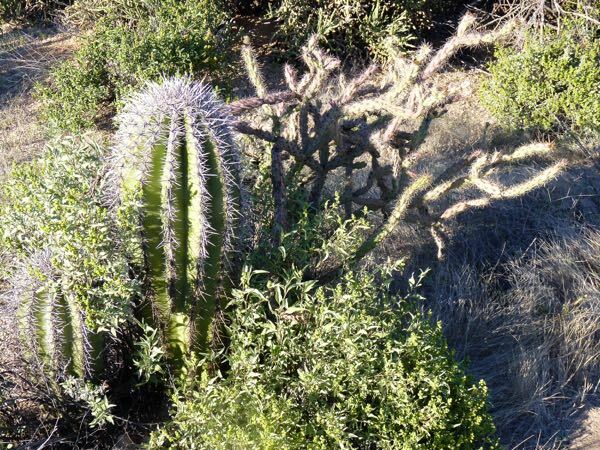 Finally, a walk along the Desert Discovery Nature trail that wandered on a paved path through typical desert plants. As the light faded, there was a fairly good view, to the west, of the Avra Valley and the distant Roskruge Mountains beyond. It was an enjoyable visit, and offered a different perspective than the east side of the park. 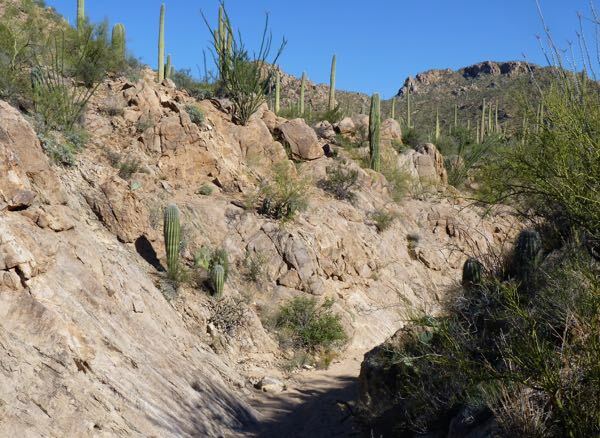 On the way out, the road passes through Tucson Mountain Park which has numerous hiking trails. 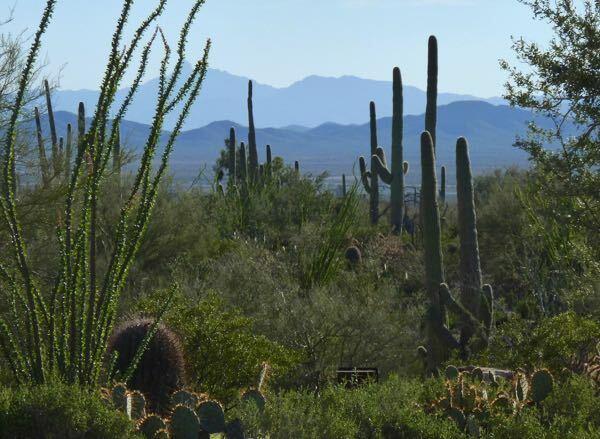 Also, the Arizona Sonora Desert Museum and the Old Tucson Studios, both of which I was told are interesting. Maybe I will visit them the next time. See my post about Saguaro East for the rest of the story. These are great photos. My favorite is of the Avra valley with the Roskruge Mountains. It’s a great composition for a painting too. You are lucky to be in the sunshine, it’s cloudy & damp in Tampa Bay today. Thanks for the comments about the pix. There were a couple of days of clouds and rain; but, mostly it’s been really nice. I agree that all the photos are excellent. I like the one with the petroglyphs. I appreciate that Martha. Glad you liked them. Hope all is well. I’m enjoying learning things I did not know about the area I grew up in. I really would rather be there now. Thanks for taking me via your blog! Your welcome Dorothy. Hope you can make it back sometime.